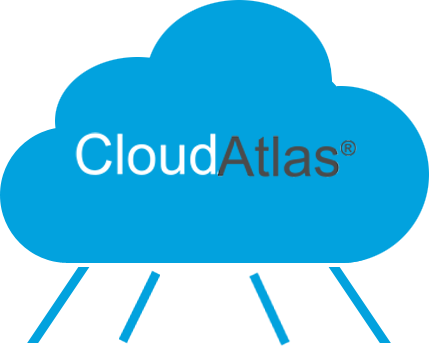 CloudAtlas® Cloud Migration Tools can help get you to the Cloud quickly, securely and in compliance. Their tools provide insight into your legacy systems and provide you with a Cloud Strategy to migrate your selected applications to the Cloud (SaaS, IaaS and PaaS). Their experience with Fortune 50 customers combined with their suite of Cloud Migration Tools enables them to accelerate even the largest and most complex migration scenarios. CloudOrigin® represents the underlying Cloud Services settings repository and Cloud knowledge base that underpins the CloudAtlas® suite. Cloud Services are constantly going through upgrades and enhancements by Cloud Service Providers and CloudOrigin® is designed to be your authoritative source of revision control. Based on static code analysis, configuration data, and development team interaction, CloudPilot provides a deep and detailed analysis of applications and their readiness to migrate to a Cloud environment. CloudPilot assists in the initial assessment of the Cloud migration effort; in the re-factoring process by offering detailed code-level changes for the Cloud; and in the final testing against enterprise control frameworks. CloudPilot scans application source code and uses configuration data to provide a detailed report of code-level changes to modernize your applications for the cloud. For applications that have already been remediated and are considered Cloud-ready, CloudPilot scans the Cloud-enabled applications to ensure that they follow best practices and meet enterprise IT Controls and Cybersecurity policies. CloudRecon, part of the CloudAtlas suite of tools, is designed to help organizations determine their best Cloud migration strategy. CloudRecon creates a report giving a detailed opportunity analysis based on existing IT infrastructure for various Microsoft Cloud environments including Software as a Service (SaaS) – Office 365, and Infrastructure as a Service/Platform as a Service (IaaS/PaaS) – Azure. It also provides strategic considerations as enterprises consider moving elements to the Cloud. CloudSupervisor:® Azure is used to monitor applications after they are migrated to the Cloud to provide application owners and Cloud subscription owners visibility into the underlying Cloud Services and whether the settings and other risk management controls are in line with industry standards or your enterprise definitions. CloudSupervisor: Office 365 is capable of managing your entire Office 365 environment, controlling and obtaining unique & valuable information, even in a hybrid environment. Utilize their tools and expertise to easily reduce Azure costs, manage permissions and licenses, simplify and ease administration needs, and understand if your environment is configured for regulatory compliance. They believe organizations operate best when they have total control over every aspect of their Cloud environment. CloudSupervisor: Office 365 fills in the gaps of the standard portal & enhances your Office experience.